When I first met Chris, I heard a voice telling me, "This is it." Within the first ten minutes, I knew he was it and I now know it was God nudging my guarded heart. Over the last five years and through a lot of ups and downs, I think back to that night when I was so beyond sure that this was it. On the long days when I want to give up, I remember that this is it. And I hold tight to that knowing God has a big plan for our lives. So when it feels like it's one thing after another in our day-to-day life, I have to hold tight and remember that this is it. Last Saturday night, we had just finished watching the final episode ever of Parenthood. And I was crying like a baby, because how does a network end a show such as Parenthood? I literally stood up from the couch and heard a bursting sounds just above my ear level. I looked at Chris with wide eyes and he looked back at me as if to say, "Don't even utter the words you are thinking in your head." Because the words I was thinking in my head involved a pipe bursting in the wall, especially upon hearing the flowing sounds of water immediately following. This was at 10:30 p.m. On a Saturday night. When the world of plumbers is typically shut down. 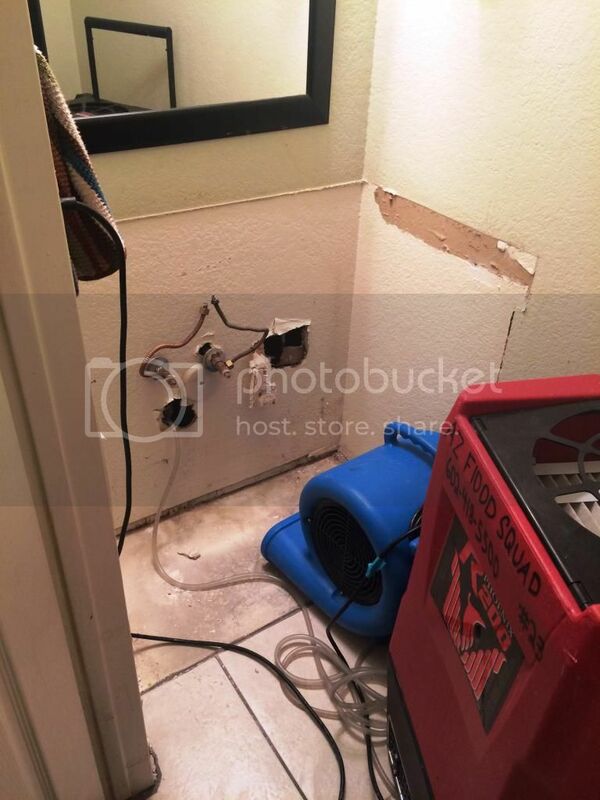 He immediately called our warranty company who considered this to be non-emergency since we didn't see water coming out of the walls. 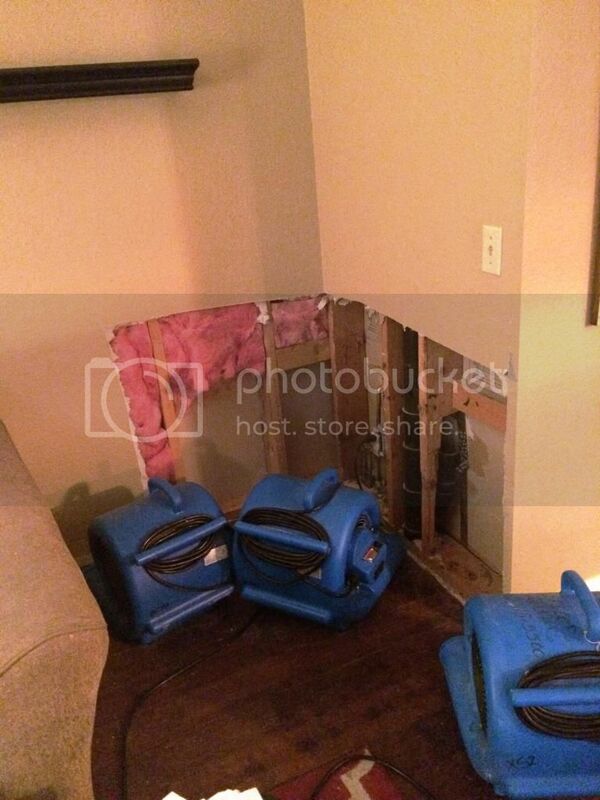 "So, we just leave the water gushing through the walls overnight and then call back when we see damage?" They pretty much told us that was their plan, but that we would receive a call back in a few hours. I'll have you know that I kept my phone right by my bedside all the way on the loudest volume and I woke up at 6:30 a.m. to absolutely no calls. Chris headed off to work bright and early on Super Bowl Sunday when the rest of the world is typically shut down and he forwarded me an email they had sent overnight regarding a plumber who was scheduled to come over. So, I called the plumber. The plumber had never heard of me or our claim. But the plumber understanding the situation we were in now nine hours later told me he was on his way. This was at 8 a.m.
At 8:15 a.m., the warranty company calls back. They have a plumber scheduled to come out between 11 and 3. I told them there was already a plumber on the way, but they said because it was "non-emergency," they cancelled that plumber and were sending someone different. What part of water dripping through walls is non-emergency in the world of plumbing? What part of any water not in pipes is non-emergency? So I waited for the new plumber to come out and just kept the TV volume up to distract myself from the sound of rushing water. By the way, we did try to turn the water off to the house. Turns out that the water gage is broken, too. Of course it is. The new plumber came out around 2 p.m. and immediately freaked out that water had been running through the wall for now 16 hours. He cursed the name of our warranty company and I'm sure the look on my face said, "Look, it's just been me, a toddler and a dog dealing with all of this, so please don't keep freaking out," because he promptly said, "But it's all good. We can handle this." And then he asked if there was any way he could talk to my husband because I'm sure the look on my face said, "I have no idea what's going on here." Luckily, Chris was somewhat available to fill them in on the history of the house, our warranty and insurance policies, and gave them the go-ahead on repairs. A flood team came out and installed fans that lived with us over the following four days. I also managed to sneak out and squeeze in about an hour and a half with friends at a Super Bowl party before we were off to go pick up Chris at work. Fast forward six days. We have since looked at our budget and realized that this $1,000 deductible is going to have to grow on a money tree. And then we discuss that we need to spend basically nothing over the next week and a half due to bills that were due right then and there. Like mortgage. Because we need to keep a roof over our head even if it's spewing water. So, spending freeze. Got it. I am so beat from the week that when I pick Liam up from his school, I am singing praises that I get two days of being at home. That is until I pick him up and they tell me that one of the kids in his class had lice and that they have had it all week and didn't tell them until that very day. Working at a school, I know all too well how lice work and how fast they work and how I need to get rid of every possibility of this bug, period. After consulting with the school nurse, I drive to the closest Walgreen's and pick up TLC. Of course, it's $24. And I kind of wanted to cry because of the spending freeze, but lice. 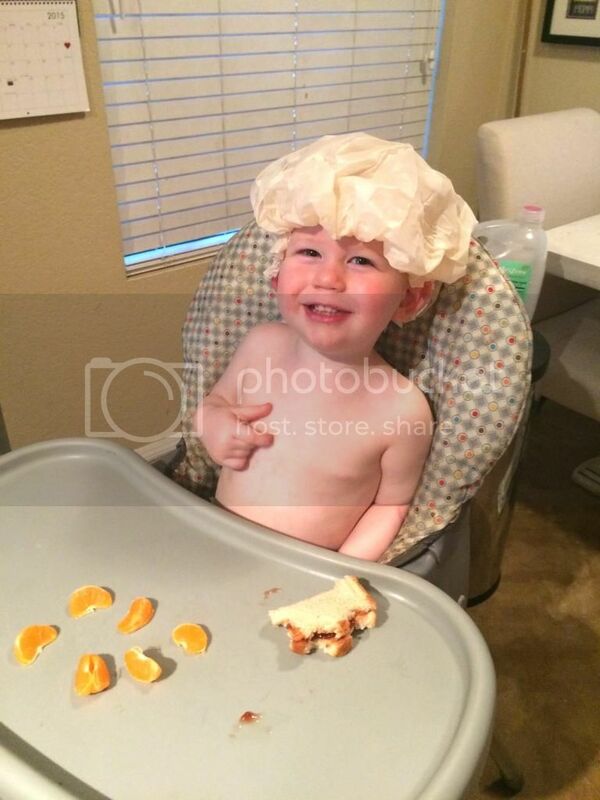 Liam spent his Friday night dinner with a shower cap on his head and I am happy to report that there is no sign whatsoever of those rotten bugs. This is it. That $1,000 deductible that we can't really afford and that $24 expense that is unexpected and out of the budget and the fact that I had to drop off our one and only car at the shop this morning after already putting money into it because that check engine light will not go off. We've been living on a lot of faith this past year or so. A lot. Most of the faith comes into play when things happen and we don't know how it's going to work out but we trust that it is going to work out because we have a God that goes before us. He's already repaired the drywall and set aside the deductible and conquered the lice and cushioned our budget and fixed the car. We haven't seen any of this yet, but we have the faith and trust that He has done it. Because this is it. The good, the bad, the ugly, the pretty. It's all been conquered. So sorry but love your faith! Wow! What a story! So thankful that God is always in control.. and that you know it! Praying for you and your family!